The continued existence of agricultural slavery might be hard to believe, but exist it does, and at a widespread levels across the globe. What might be even more surprising, especially to American consumers, is the prevalence of slavery on farms across the United States. 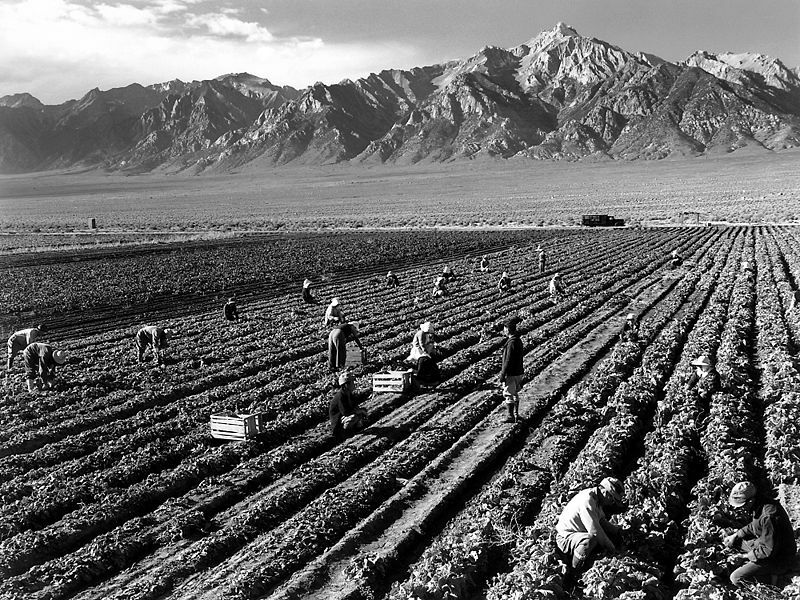 CIW – an anti-slavery and workers’ rights group based in Florida – estimates that, on a regular day, as many as 5% of American farm workers are forced laborers, working against their wills. Farms do not and can not make the money they used to, and competition in most US food industries is fierce. Cutting corners has become the norm. But thankfully, even though the statistics are far too high, using slaves is still not an accepted practice in this country, to say the least. Law enforcement has begun cracking down on indentured servitude on American farms, especially with the crime’s close connection to illegal immigration (most slaves on farms in the United States are of Mexican, Guatemalan, and Haitian descent, and many are illegal immigrants). But it is important to note that the crime does not affect only undocumented workers. In the past few decades, when most American farm workers were legal citizens of the United States, the percentages remained at similar levels. An American farmer travels to a developing nation and promises a group of interested workers free travel, visas, and steady employment in the US. Once the workers arrive, the farmer steals their papers and demands that they work, sometimes for 16-20 hours a day, in order to avoid deportation or arrest. A farmer recruits from among the people most vulnerable to addiction, then constantly provides drugs and/or alcohol to the victim as a form of “debt” with exorbitant interest rates attached. The worker must labor on the farm in a constant state of servitude to pay back the debt. A slave-owning farmer uses threats against the workers’ lives and families. Convicted farmers have been known to beat, violently assault and even shoot men and women who tried to escape. In one instance, a slave owner ran over an escaped worker with his car, claiming to own him. Because illegal immigrants are already terrified of law enforcement, it is easier for the slave owner to keep them quiet. Illegal immigrant are thus recruited after crossing the border, and if found are often deported, even when the farmer is convicted of severely abusing them. Workers live in extremely tight quarters, often under armed guard. The farms usually have high fencing with barbed wire to prevent escape. Sometimes security teams tie the laborers up or lock them in the backs of moving trucks. Workers that escape might report the farmers, so they are hunted down with care and punished publicly if caught. In connection with the way farmers abuse addicted workers, they also make up false debts such as travel expenses, food, housing, taxes and social security. In an extreme example of wage theft, the worker loses any money they’ve earned, which was the farmer’s plan all along. Learn more through some specific examples of this crime that have occurred recently on farms in Florida. What can be done about this crime? We’ll discuss solutions to the problem of agricultural slavery in tomorrow’s post. If you have any ideas to share in preparation, please leave them in the comments! Wow, I had no idea this was going on! I look forward to looking at this more. Thanks for sharing this post, Joanna. Evan and I have been pursuing a completely local diet, and one reason why we are doing this is because we believe in the value of human lives.I am currently re-reading “The Jungle” by Upton Sinclair, and it breaks my heart to read about the grave injustices people faced (and do still face to this day) to support the US industrial food system. In “Food Inc.” they share the story of a few farmers who are practically enslaved to the big business food companies because they have such a legal hold over their livelihood as well as complete control of their finances. It is sad that we have not really come that far since the days of “The Jungle” slaughterhouses. One reason we eat locally is to have a closer relationship with our food, so that we can know where it comes from, how it was produced, and the labor practices that went into it. Because everything we eat comes from within 150 miles, I know many of the farmers personally, and I can see first hand how the food is produced and how the workers are treated. It’s not always perfect and clear – when I went peach picking at an orchard west of Austin, many of the workers were getting ready to go back home to Mexico, which brought up a lot of questions about labor practices in my mind. But I didn’t know how to tactfully ask questions to make sure they were being respected and justly compensated. Any suggestions? Thanks for this comment, Dahlia! I’ve been following your blog already, and see a lot of connection between the local food movement and ending agricultural slavery in the US – a subject we’ll be talking about tomorrow in some detail. I don’t know as much about migrant labor and treatment of undocumented laborers, but I would imagine most local farms would be willing to answer any questions offered with a smile, especially if they are open enough with their labor practices to allow visitors to pick on their grounds. One thing that sets slave-owning and extremely abusive farms apart is an unwillingness to allow visitors onto their property, even to make purchases or help with labor. Your a good writer and I’m sure you are creating wonderful ripple effects every time you pick up your pen. Thank you so much, Pat! By the way, your post on coffee is very interesting. I’m looking more into the org now. Great post! I did a post recently about the Coalition of Immokalee Workers. I was privileged to march with them for 20 miles out of their 200 mile Fair Food March from Ft. Myers to Lakeland, FL to pressure Publix to join the partnership.